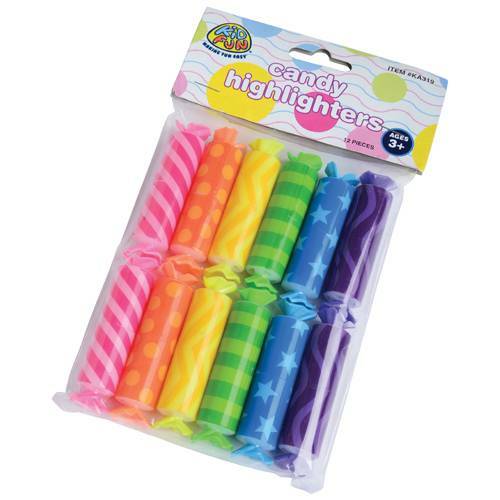 Add some color to your office supplies with these wrapped candy highlighters. 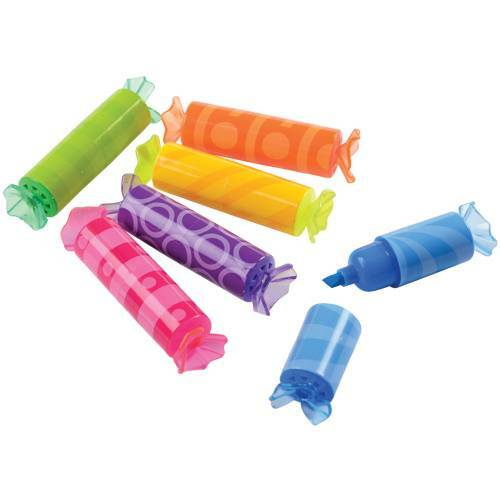 Small in stature but big on color, these yummy scented markers will brighten your desktop and get the job done. Also makes a great table decoration or party favor at candy buffets. Comes in a variety of scents: orange, strawberry, blueberry, green apple, grape and lemon.